Below you'll find a bunch of different way to help me out as a developing artist! There's a list of free methods as well at the bottom! With your support the sky is limitless. I'll never feel like I'm able to thank you all properly for your kindness, love and understanding, but please know that I will do my absolute best to return that kindness and help and connect with as many people as possible with my songs and platform. Not familiar with Patreon? No worries! Simply put you'll be pledging a certain amount of money PER MONTH in exchange for awesome perks such as: requesting & voting for song covers, high quality downloads, midi files, harmony guides, birthday letters, original songs, video updates (live & pre-recorded) and even MORE. I'm a little socially anxious, so I find Patreon is the place I'm most comfortable sharing my private life and hanging out. It's a much smaller crowd than YouTube! It feels more like a family, and a safe place to land. Patreon is by far the best place to get to know me and establish a genuine friendship, and it is currently by far the best method of supporting my work. If you're not down with Patreon (or something happens to it) you can sign up to donate monthly with PayPal. ❥ Check out the stuff I can do on my music & demo reels page and hire me! ❥ Check out my commissions & shop page to get in contact about work I can do for you! ❥ Follow and listen to me on Spotify, Apple Music, or purchase albums from iTunes, Google Play and others. ❥ My music & demo reels page has every song available in digital stores and links to where to find it! ❥ Purchase something from my kit.com page, which lists all of the products I use / games I play / etc. ❥ Listen FOR FREE on Spotify! ❥ Follow, subscribe, like, comment, share, retweet, reblog, draw fan art, cover my music, enable notifications. Anything that is visibly showing your support and increases chances of a new person discovering my music is a BLESSING! I'm bad at hyping things up, so I need all of the help I can get. ❥ Add my songs to your YouTube/Spotify playlists. The more the better! 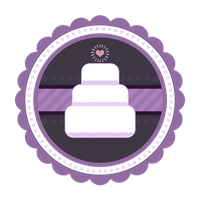 ❥ Attend as many live events (like Cake Nights) as you can, and invite your friends!